All events submitted must be food and drinks related, or an event where food vendors are present, such as city festivals, or music & entertainment events held at a bar or restaurant. Your Event will automatically expire on your 'End Date'. Any random submissions or spam not relevant to our directory will be permanently deleted. FEATURED event listings provide additional features giving you enhanced exposure and benefits and help you to drive traffic to your website and social media profiles, and bring more people to your event. Add Your Place For FREE! 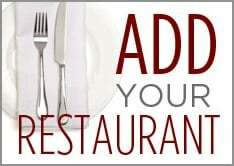 We offer a FREE listing for every drink and dining establishment you can think of. 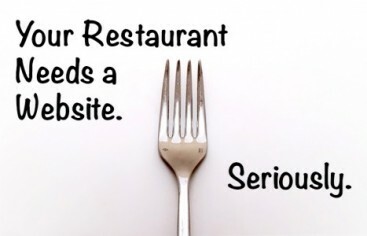 If you serve food or drinks downriver, we want to know about it. Important to note: We are different from Yelp. We are considered a hyper-local directory which will benefit your place of business to be listed here. FEATURED places are enhanced by a more prominent highlighted ad, as well as giving you more visible options that will appear in your listing. The more detail you can show in your description, the more people will know about your place. It’s that simple. It’s a known FACT that in order to rank more locally in Google, citations and external location signals are the 3rd most important ranking factor according to the Moz local search ranking factors survey. That’s why listing your business in our directory, as well as others, play a very important part of your overall search ranking success. Another FACT is Incomplete Citations are a negative factor in your ranking. It's very important that you fill out any profile on local directories to completion once you've claimed them. This includes adding a photo and filling out every field there is an option for. We want you to be found online, so take advantage of our directory. If you need a website, marketing, or social media services, we can help you with that, too. We partner with The Gallery Sites, a downriver marketing firm who will "get you on the map! ".